Nexera full size platform bed 345406 can be paired with different Nexera full size headboards to create a complete bed set. Its unique design gives the impression the bed floats above the ground, giving the entire room an airy feel. This full size platform bed with matching headboard bundle is the ideal start point for any modern bedroom. It's neutral Ebony finish makes for a beautiful and relaxing bedroom while allowing the bed and headboard to be paired with multiple different chests and night stands from Nexera. 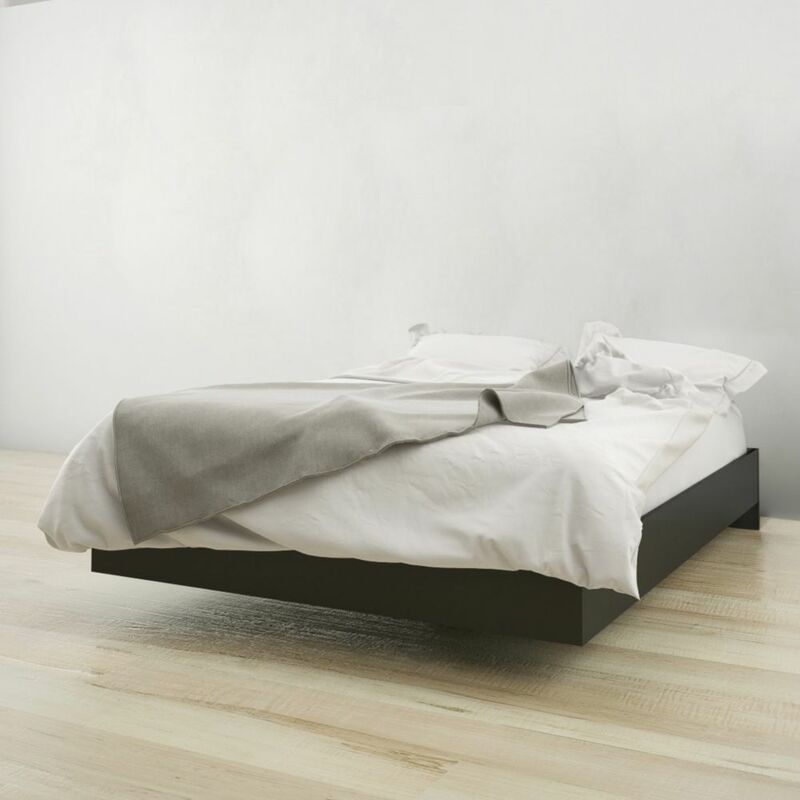 345406 Full Size Platform Bed, Black Nexera full size platform bed 345406 can be paired with different Nexera full size headboards to create a complete bed set. Its unique design gives the impression the bed floats above the ground, giving the entire room an airy feel. 345406 Full Size Platform Bed, Black is rated 3.0 out of 5 by 1. Rated 3 out of 5 by cc2205 from good base Bought this for my daughter. It was relatively easy to assemble although one corner ended up being out by almost 1/2" and we had to put a wedge under it to stabilize it. All in all, it is a good deal for the price.